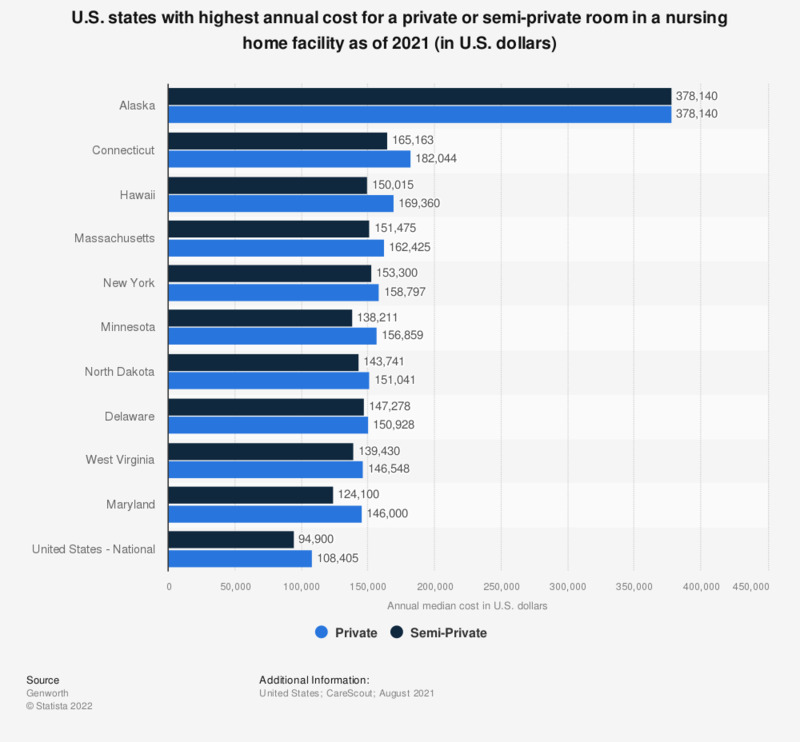 This statistic displays the top ten states by cost of a private room in a nursing home based on median annual costs in the United States as of 2018. Annual median costs for a private room in a nursing home total to around 330,873 U.S. dollars in Alaska. Nursing homes provide long-term health care with supervision, room and board, as well as medication, and other services. * As part of facility care.